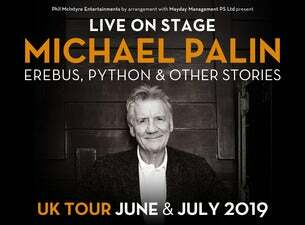 Monty Python star and much-loved television globe-trotter Michael Palin has announced a brand new one-man stage show to celebrate the paperback publication of Erebus: The Story of a Ship. The tour which will take him to 12 venues around the UK, from 7 June to 7 July 2019, will be supported by local bookshops and signed copies of his books will be available to buy. Erebus: the Story of a Ship comes out in paperback on 30 May 2019.